Hackney's Lea valley industries were innovative. 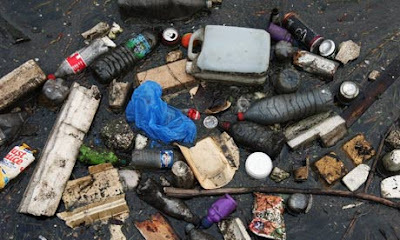 They discovered and manufactured plastics.The exploitation of this scientific legacy has had a global reach. Just recently a sperm whale died on a Spanish beach with 17kg of plastic in its stomach. "I remember that a wise friend of mine did usually say, 'That which is everybody's business is nobody's business.' " Izaak Walton, Piscator, who fished the Lea in the 17th Century. In other words, it's everyones' problem but noone's responsibility. Council grant development approval. Dalston playground land to be sold. Last night Hackney's Planning Committee granted approval for a massive residential-led scheme on Martel Place/Dalston Lane - the last undeveloped site on Dalston's Eastern Curve - despite the Council having promised, following public consultation on its Dalston Area Action Plan (DAAP), that there would be a kids' public playground as a priority. A skateboard park had been flagged up. Kids and parents attended the Town Hall in numbers to protest at the sell off of Council open green land on the site to the private developer but were only allowed five minutes to voice their many objections to the multi-million pound scheme. SAVE Britains Heritage also wrote in to object. After the hearing one of the kids, Dex, said "It's disgusting. They said the playground must now wait to see if they'll build tower blocks on the shopping centre site. 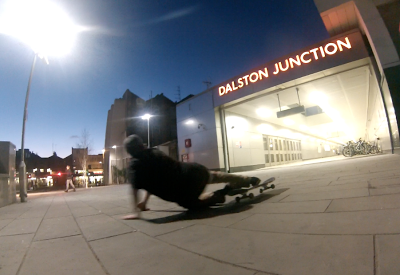 Still, we've now found a great new place for skateboarding - on The Slab above Dalston junction station." The Slab, which Hackney helped subsidise, was built by TfL for its buses at a cost of £63million but only one bus, the 488, uses it and there are only five of those an hour. "We can easily dodge the 488, so The Slab is fairly safe" said Dex "We just have to watch out for the police. 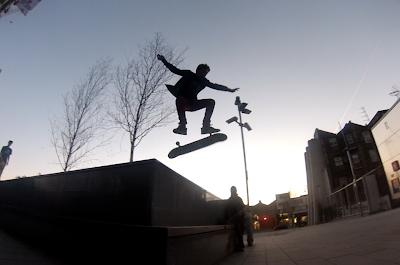 They chuck us off when we skateboard there, and on the shopping centre car park, but there's nowhere else to go." Council officers informed the Planning Committee that the playgound was always planned to go on a re-developed Kingsland Shopping Centre site however the site policies in the DAAP makes no mention of it there but expressly refers to the playground going on the Eastern Curve site. Martel Place is part of the 'Eastern Curve Character Area' in the DAAP. The planning permission departs radically from the planning guidance for the site in terms of height, density, affordable housing and employment space. The value of the land Hackney is selling to the Martel Place developer will increase substantially if the planning permission is eventually upheld. Hackney's Mayor Pipe and the private developer will both be delighted by this windfall. Hackney deny children's playground provision. Hackney has denied that it ever intended to build the promised children's playground as part of the Martel Place development. Hackney owns open green space there which is to be sold to the major private developer which is seeking planning permission for the site. 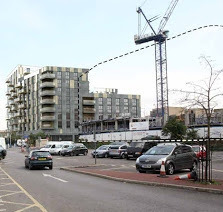 The 5 -10 storey blocks proposed for Martel Place development at the junction with Dalston Lane leading to the Kingsland Shopping Centre's rear car park. Following public consultation , the promised "active youth facility" ( for 12 year olds and above) was included in the Council's Dalston Area Action Plan (DAAP) which underwent government inspection last summer. A skateboard park was talked of. It's location would be at the " far eastern end of the Eastern Curve", which would be renamed as Ritson Place, and it would be developed as part of the Eastern Curve ( Sites CA5 which includes Martel Place). All the other development sites on the Eastern Curve have since been built on with blocks of 8-14 storeys. Martel Place, on which Hackney owns the green open land, is the only remaining undeveloped site on the Eastern Curve. Although Hackney recognises the severe deficiency of kids play areas in Dalston, it has now informed us that it's "vision" is not to provide the playground as part of the redevelopment of the Eastern Curve sites at all. It says the playground will be provided as part of the redevelopment of the Kingsland Shopping Centre - but that could be years away in the future, if at all. 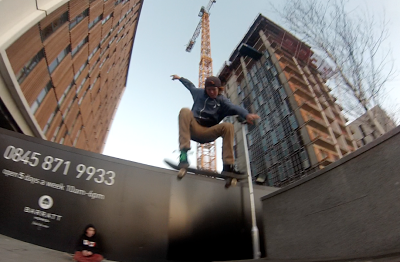 By that time our "12 year old and above" kids will have grown up after more years of playing on the streets! The redeveloped Martel Place site will comprise massive blocks containing 121 flats but only 15 (12%) will be for affordable rent and those, in a seperate block, appear to have no direct access to the "semi-private" open space within the development. 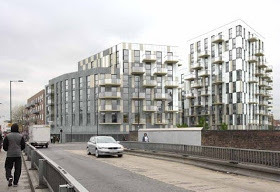 Hackney's policy is to aim for 50% affordable housing in new developments, of which 60% would be for rent ie 36 affordable rental flats in this case..
Council planners have taken "independent" advice from Hackney's Property Service Department which, in turn, is seeking to maximise the receipt from its land sale. That Department has advised that 15 affordable rental flats are the most that can be achieved to make the deal "financially viable" ie so the developer makes a 20% profit on investment. Although the plans depart radically from the Council's own DAAP guidelines for the site in terms of building height, housing density, priority employment uses and affordable housing, the Planning Department will be recommending approval of the scheme to the Planning Committee which will consider granting planning permission on Wednesday 6th March. A very large number of objections from the community have been made to the scheme.